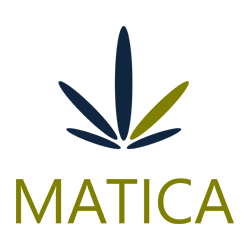 October 4, 2017 – Toronto, Ontario – Matica Enterprises Inc. (MMJ–CSE) (39N – Frankfurt) (MQPXF – OTC PINK) (“Matica” or the “Company”) is pleased to announce that the company has retained the services of Mr. Peter Duffus as a consultant to the company. Mr. Duffus is a seasoned businessman, community leader and long time member of the Liberal Party. Mr. Duffus was President and Director of the Halton Federal Liberal Association, Vice President and Director of the Halton Provincial Liberal Association, President of the Federal Liberal Golden Horseshoe Region, and as such, served as a director of the Liberal Party of Canada (Ontario). He is the author of the Liberal Party’s National fundraising initiative, The Victory Fund. Mr. Duffus has been a consultant for the Mayor of Milton (Canada’s fastest growing municipality) and served on the Halton Urban Structural Review Board, the main blueprint for growth in the region of Halton. Mr. Duffus is also an active community volunteer and has been nominated two consecutive years for the East Kawartha Chamber of Commerce Award of Excellence for Citizen of the Year, recognized for mentoring young business people and youth, as well as his work with war veterans. His community involvement includes membership in the campaign to raise funds for the Milton District Hospital Foundation CT Scanner and Diagnostic Imaging. He has been a director of the Milton Chamber of Commerce and a two-time nominee for the city’s Business Person of the year, Chairman and Director of the Milton United Way, and many others community causes too numerous to mention. Mr. Duffus’s business interests include of a number of leasing and finance companies as well as new car dealerships where he was a three time nominee for TIME magazine’s Quality Dealer Award. As an environmentalist and respected solar facilitator with solid experience and vast knowledge of the industry, he is involved with the Ontario Solar FIT program. Matica has an agreement with RoyalMax Biotechnology Canada Inc. (“RoyalMax”) for Matica to become a majority owner (70%) of the late stage applicant under ACMPR. Matica and RoyalMax are diligently working to complete the build out of the 10,000 square foot facility in Dorval Quebec. Matica has also signed a Letter of Intent for a late stage applicant in southwestern Ontario with a 13,000 square foot facility which is expandable to 24,000 square feet and sits on 14 acres so that a much larger facility can be built on the property at a later date.